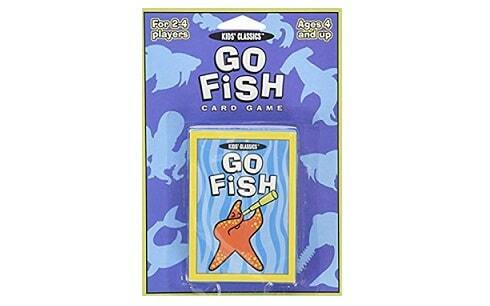 Go Fish is an exciting game that’s easy to play. 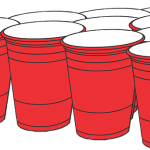 The simplicity of the rules ensures that even children can quickly master and play the game. To play the game, you require the ordinary 52 card deck. Ideally, the game fits the best three players. Nevertheless, even two children can play the game. Do you want to know how to play the game? Right from the beginning, each player will strive to accumulate as many books as possible. 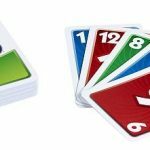 In the Go Fish game, a book refers to a collection of four cards of the same rank. For example, four aces make a book. When the game ends, each player will have to take a count on the number of books he has. And the player who has the highest number of books wins the game! The first step is dealing the cards depending on the number of players taking part in the game. If there are two or three players participating in the game, each player receives seven cards. But if the players are more than three, then each must receive five cards. However, the dealer must deal the cards in such a way that no one detects the face of the cards. 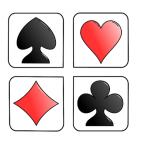 When each of the players has received the specified number of cards, each person must then get acquainted with the cards he posses. The remaining cards are placed centrally on the table. 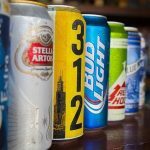 That forms the stockpile. When everyone has received cards, next is taking turns in the game. Whereas some give the youngest player the first turn of the play, some choose the player positioned on the left-hand side of the dealer to begin the play. In case John has any of the nines, then he’ll have to hand over all of them to the player. But before you request for a specific card, you must ensure that you have a sample of that card in your hand. Otherwise, you don’t have the permission to request for it. What Happens when your Opponent doesn’t have the Card you have requested? In that case, your opponent will only tell you to go fish. So that permits you to pick a card at random from the stockpile. If you succeed in selecting the particular card you requested, you can make another request. But if you get it wrong, you retain the card you had picked, and your opponent takes a turn to play the game. So how do you Score? Whenever you get four cards of the same rank, you must show it to your opponent and pile it before you. That forms one book, and it’s counted as a score! At the end of the game, whoever has the highest quantity of books becomes the winner. When a player depletes the cards in his hands, he is free to pick the initial number of cards you gad. When you have three or more players in the game, in case one player runs out of card and the stockpile has been depleted, the rest of the players continue with the game. When you have more than two players in the game, take note of the questions and answers from other players. It will help you to guess right on the type of cards they have. If you pick up a card from the stockpile and doesn’t match what you were fishing for, let it be your guess in the next turn of the game. 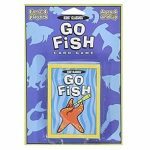 If after ending the first game you wish to move on to the second round, then the winner of the past game becomes the dealer for the next Go Fish game. So do you want to go fishing?